ELEGANT yet HOMEY. Step through the front door and you'll appreciate this fantastic layout. The foyer radiates to all points: Master Suite to the right, Kitchen ahead, Living room to the left, and the staircase sweeps to upstairs bedrooms and bath. Everyone will enjoy this large open space Living Room accented with wood burning fireplace offset by built in shelving that reaches toward the 16 foot ceiling. It is well lit by an entire wall of large windows overlooking the lanai and back yard. Your secluded first floor Master Bedroom is HUGE, with walk in closet and open to the Master Bath that adjoins to additional pool bath with shower. The kitchen has eat in space with new skylights and new windows overlooking the pool deck. Separate Dining Room complete with large walk in pantry adjoins a Bonus Room. First floor also includes a bedroom and bath, perfect for guest room, office, or special family member bedroom. Three bedrooms and bath upstairs features balcony overlook to the Living Room below. Florida living is easy with this expansive tiered pool deck with covered lanai and built in overflow spa. Near the Pinellas Trail, Honeymoon Island, Dunedin dining and Countryside shopping. 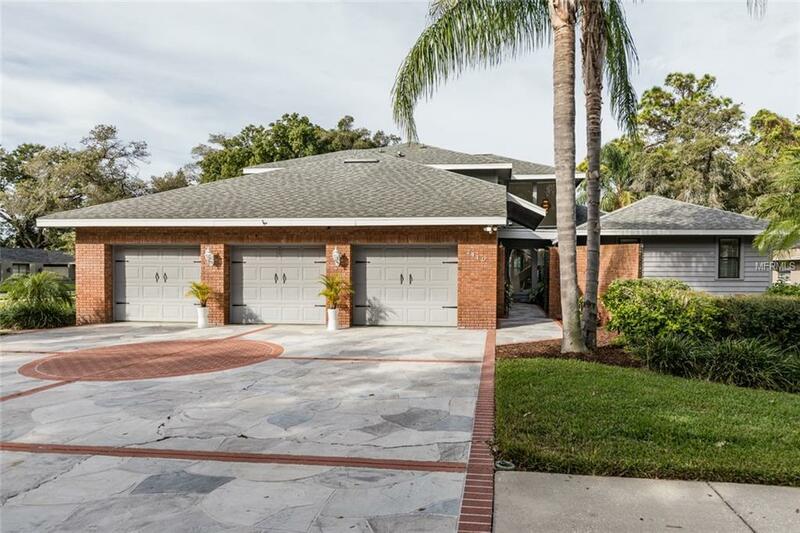 AND it is in walking distance to Palm Harbor University High. Priced right for renovations and updates, this unique floor plan is waiting for your personal touch. You love HGTV and your Pintrest account is buzzing...this is the perfect opportunity to make your home dreams come true in fabulous Indian Trails. Additional Lease Restrictions Buyer To Confirm Lease Restrictions With Hoa. Pet Restrictions Liberal Pet Restrictions (No Farm Animals) - Buyer To Confirm Pet Restrictions With Hoa Deed Restrictions Prior To Purchase.